Get involved in matters that you care about! Wisconsin Family Child Care Association is the professional voice of over 1,200 family child care providers. With so many voices joined together we CAN affect the lives of young children and the future of our profession! Part of our job as early childhood professionals is to raise awareness about the importance of early care and education and advocate for early childhood issues. As family child care providers we have the added responsibility of advocating for the profession of family child care. Stay up-to-date on current early childhood advocacy topics! We'll post information as we become aware of it. Research shows that quality early childhood experiences are critical for promoting children's health, confidence, and success later in life. Family child care programs provide the high quality experiences children need to succeed. Family child care programs also promote local economic growth by supporting today's working families and nurturing the workforce of tomorrow. Contact your legislators. Visit the Wisconsin State Legislature website and click on "Find My Legislators" to discover who your representatives are. Invite local legislators to visit your program. Take a picture of them with the children and send them a copy with a thank you note. Visit NAFCC's Public Policy page for current issues and advocacy tools. 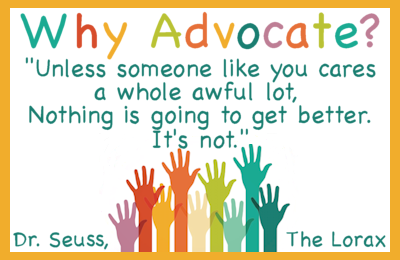 These advocacy resources can help your advocacy efforts. Please let us know of other helpful early childhood advocacy resources not listed here.